Spooky SpaHome Decor – For All Year Round! I ran across these goulish goodies the other day. Couldn’t resist sharing! They totally vibe Halloween but mix with subtle decor they add wow all year long! 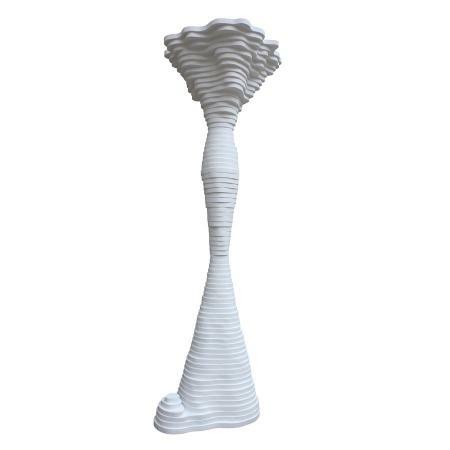 The Skeleton Chair by Michael Aram Goulish Glam! Would make a sleek dining chair! The other pieces are from Downtown – a modern furniture & accessories company that uses a lot of reclaimed materials in their designs. 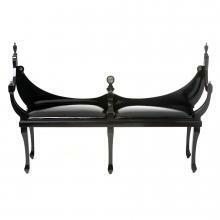 Muirfield Bench – Very bat-like don’t you think? 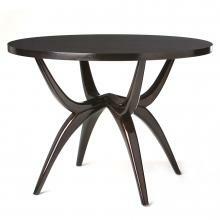 Hand Carved Spider Table – What’s so scary about these beautiful sculpted delicate legs? And it’s available in any Benjamin Moore Paint color! Plateau Torchiere – Subtly channels skeleton!